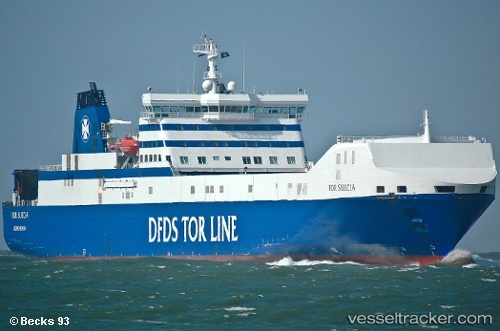 Maritime Danmark reported accident on board of ro-ro Suecia Seaway on Sep 11 13, en route from Rotterdam to Felixstowe. In presumably, stormy weather, several trailers on cargo deck moved around and were damaged. Vessel safely arrived to Felixstowe, where some of the trailers had to be offloaded by crane. Suecia Seaway left Felixstowe on Sep 12 and arrived to Rotterdam on Sep 13.